This page shows the latest Rydapt news and features for those working in and with pharma, biotech and healthcare. 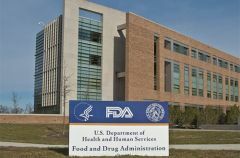 NICE looks set to recommend another AML treatment, Novartis’ Rydapt (midostaurin), which is for newly diagnosed acute FLT3-mutation-positive myeloid leukaemia. Approximately 3 fully matching, plus 7 partially matching documents found.